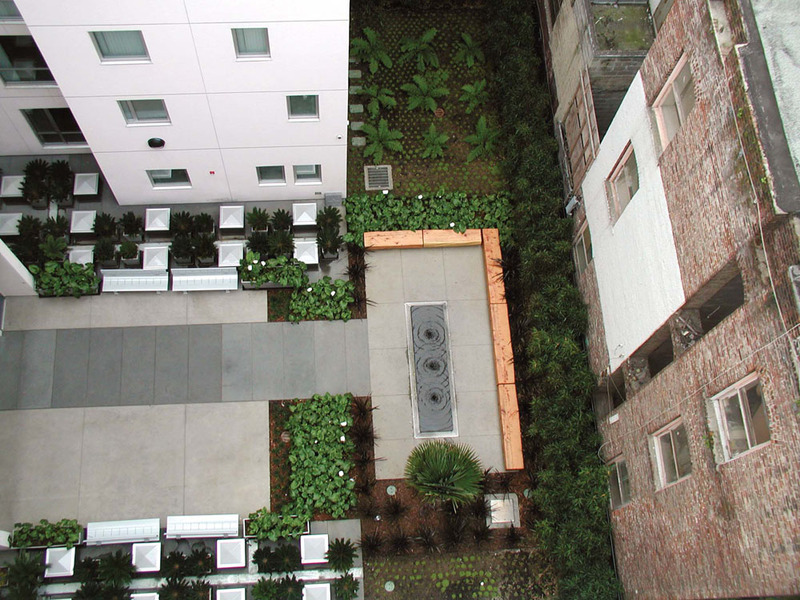 The Tenderloin Neighborhood Development Corporation and the Mayor’s Office of Housing joined forces for this high density—223 large units per acre—residence for low-income families. 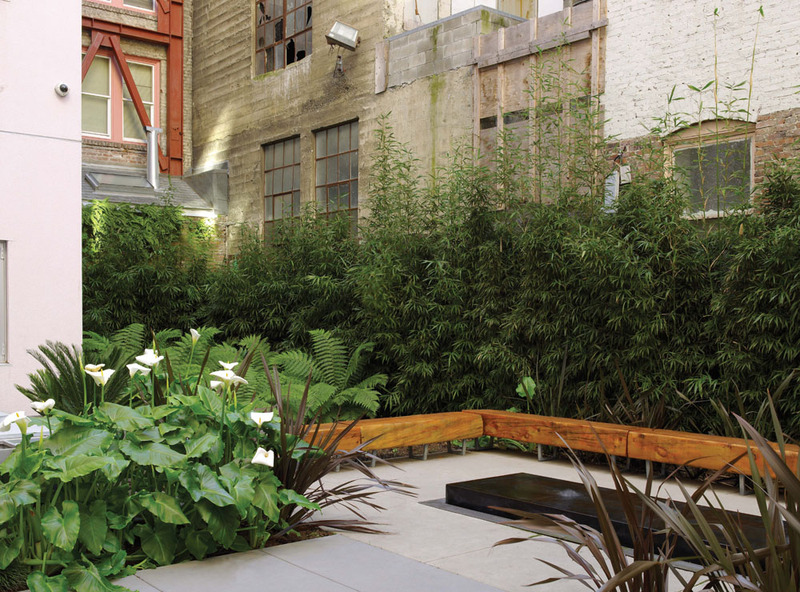 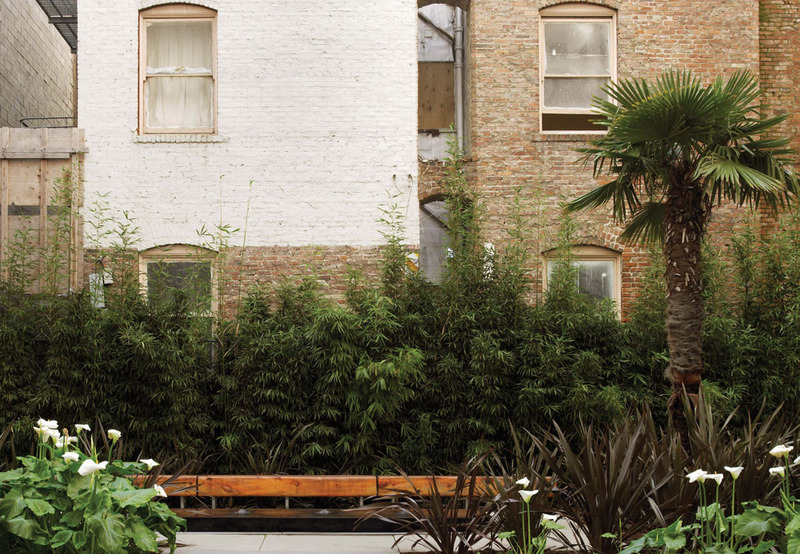 The design is divided of three distinct areas: a garden through which residents and visitors enter the building and leave behind the harsh urban neighborhood surrounding it, a ground-level oasis courtyard in the rear of the building, and a roof garden with rotating individual garden plots for tenants. 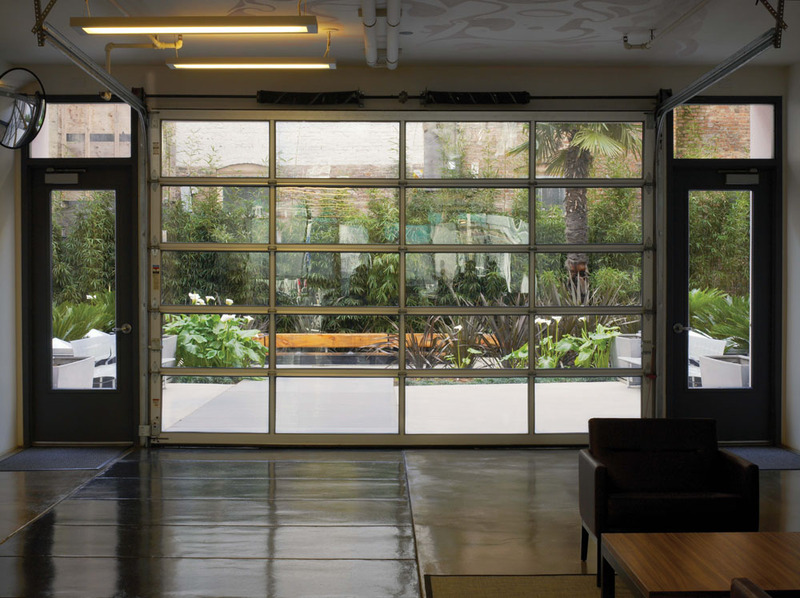 Intentionally designed for passive use, this is meant as a calm refuge within the chaotic Tenderloin environment.